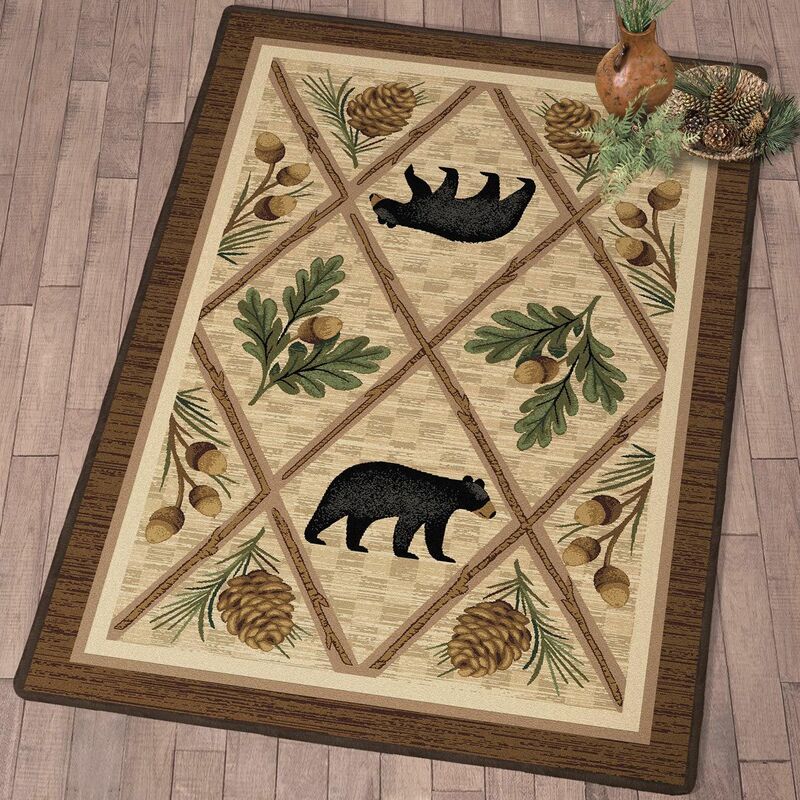 A Black Forest Décor Exclusive - With black bears and forest foliage, this stain- and soil-resistant premium nylon rug with 1/2" pile offers a warming lodge look. Spot clean. Rug pad recommended. Made in the USA. 7'8"W x 7'8"L. Allow 2 weeks.